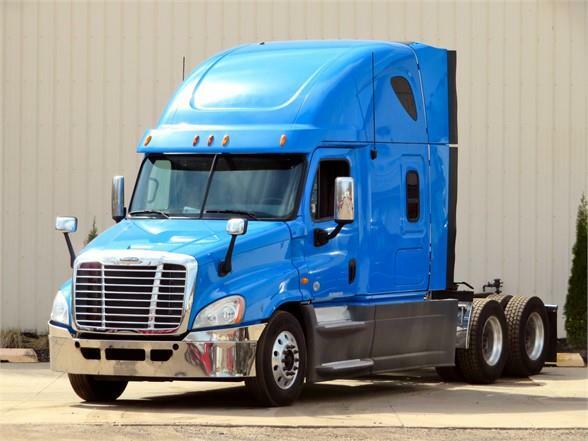 2013 Freightliner Cascadia with a Cummins ISX 450HP, 10 speed, Park Smart APU, two beds, air slide fifth wheel, engine block heater..Good tires wrapped around polished aluminum wheels and excellent brakes all around. Very nice truck all around. This was a one owner fresh local new truck trade. Excellent addition to your current fleet or a great starter truck. Excellent price-call today for all the details.